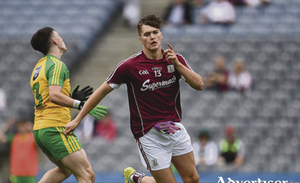 The Galway minor footballers battled bravely against a highly-rated Kerry in Sunday's All-Ireland final in Croke Park, and although they lost by 3-7 to 0-9, they were a good bit closer to the Munster champions for the first 50 minutes. Two county senior football quarter-finals are down for decision this Sunday in Tuam Stadium in an attractive double header. First up at 2pm is the replay of Milltown and Mountbellew/Moylough who drew nine points apiece two weeks ago at the same venue. Former All-Ireland champions St Thomas will take on Loughrea in the county senior hurling semi-finals which will be played in Kenny Park on Sunday week (October 2) at 3.30pm. 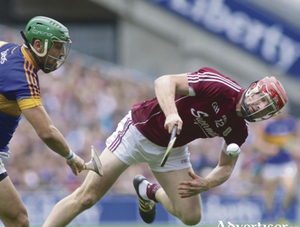 Galway U21 hurlers headed to Semple Stadium in Thurles on Saturday afternoon for the All-Ireland final, knowing they would need to produce a really stunning performance to keep a star-studded Waterford team at bay. Kilkerrin/Clonberne were crowned senior champions for a fourth successive season, seeing off pretenders Claregalway by 1-12 to 1-9 in Monivea on Saturday. Annaghdown stopped Moycullen’s bid to claim successive promotions in an absorbing Galway Ladies' Intermediate Championship final in Monivea on Saturday. 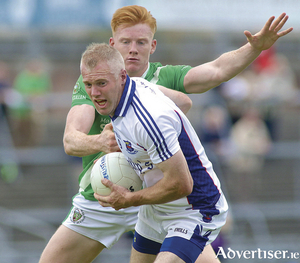 The word going into Tuam Stadium last Sunday afternoon from all and sundry in a big crowd was that Tuam Stars were really going to put it up to Corofin, and try to derail their objective of winning four county titles in succession. The county senior hurling quarter-finals are all down for decision this weekend, with three games on Saturday and one in Kenny Park on Sunday. 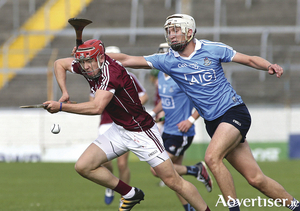 The Galway U21 hurlers, managed by Tony Ward and captained by Brian Molloy, will have it all to do this Saturday in the All-Ireland final when they take on a powerful and highly-fancied Waterford in Thurles (5pm). Three adult ladies' football county finals take place on Saturday in Monivea. Three county senior quarter-finals are down for decision on Sunday in the Claregalway Hotel/Bon Secours County Senior Football Championship. The biggest game of the last eight sees current county champions Corofin take on a team that almost beat them last season, Tuam Stars, at 5.15pm in Tuam Stadium. Last Sunday was a busy day of Gaelic football in many GAA houses in the county. The quarter-finals of the Salthill Hotel County Senior Hurling Championship took place on Tuesday evening and threw up four exciting fixtures. The Senior football quarter-final championship draw and relegation draw was made on Sunday evening and it throws ups some exciting games with Corofin and Tuam Stars a game to look forward to. Keith Fallon of GCH and Damien O'Boyle of Craughwell AC are commencing athletics scholarships in the USA this month. The race for the Frank Fox Cup and the right to be considered the top football club in Galway recommences this weekend with two preliminary quarter-finals down for decision, and three round three games. First up on Saturday in Pearse Stadium (5.45pm) in a preliminary quarter-final is Carraroe and Corofin. 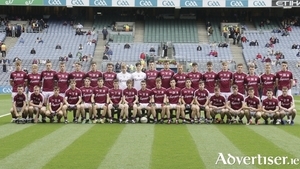 The Galway minor footballers, under the guidance of team manager Stephen Joyce and selectors Jason Taniane and Terence Morgan, produced a good performance Sunday in Croke Park on Sunday, defeating Donegal by 2-12 to 1-11 to qualify for the All-Ireland minor final for the first time in nine years. The Galway U21s, under the guidance of former All-Ireland winning camogie manager Tony Ward, will face a strong, powerful, and heavily fancied Waterford on Saturday September 10 following their 0-21 to 0-19 win over Dublin in extra-time. Any time a team loses a big game by a solitary point, there is major disappointment for those involved, their management team, and for their supporters.